Enhance your endurance, speed and accuracy. Strike the wall bag with bare fists/palms - thick synthetic leather surface is phenomenal for Iron Palm conditioning. Great workout tool for your home or martial arts gym use. Heavy duty D-rings ensure that striking bag will not tear off the wall no matter what you fill it with. Protective zipper flap covers the zipper and saves it from damage against the wall. Get aggressions out - this wall bag will become your major stress reliever that takes your punches. Buy it for yourself and your boys and girls. 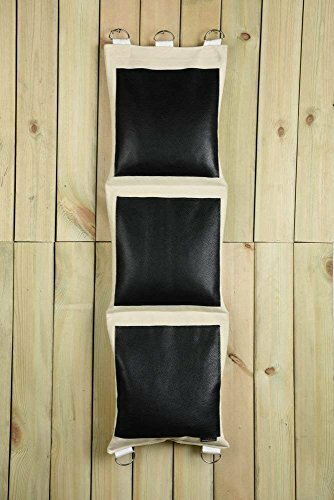 STURDY WALL BAG - thick heavy duty cotton canvas does not wear out easily, flap and high-quality zipper in the rear will hold the fillings for long time and D rings will help you mount it on the wall. 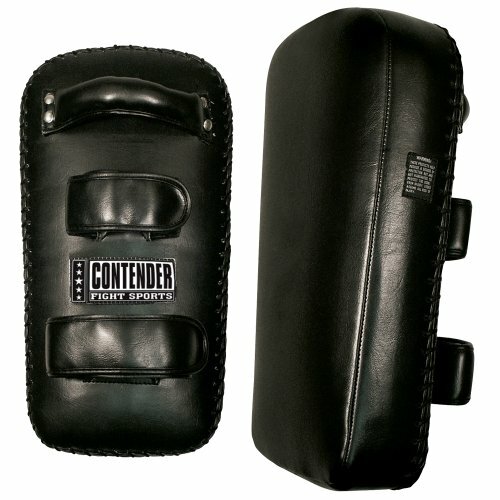 Train leg and knee strikes with ease and safety with the Mma Thai Pads from Contender Fight Sports. Two hook and loop straps fasten securely Riveted handle ensure stability Vinyl construction upholds dexterity 16-Inch tall x 8-Inch wide x 3.5-Inch thick Sold in pairs. Color:Black This kick pad target is used for Taekwondo (or other Martial Arts) fans to practice low and high kicks! The whole body is durable and flexibility. Made of high quality PU material and high potency foam with ergonomic design , it can significantly improve your training effect. 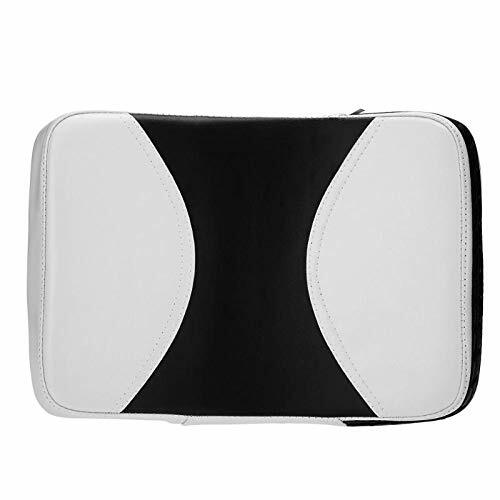 Material: PU leather outside and high elastic compression sponge inside. 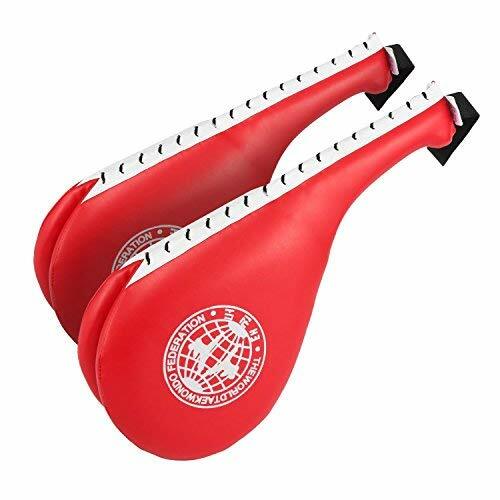 This Taekwondo Kick Pads Target is used for Taekwondo (or other Martial Arts) fans to practice low and high kicks! 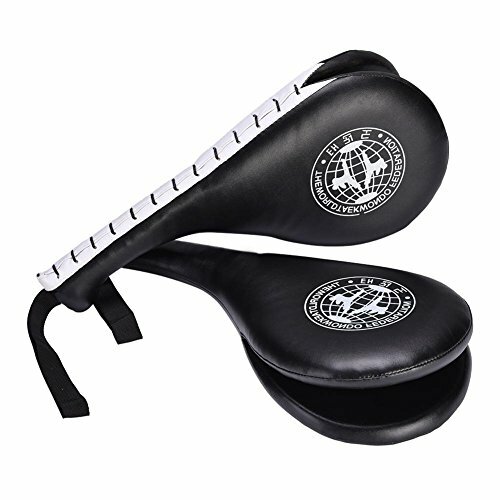 The whole body is durable and flexibility.This double sides target is ideal design for practicing high and low kicks, Enhance your speed, accuracy and strength. Used to practice self strengh of target Adjustable arm band and elastic wrist band suitable for different thickness of arms. High quality PU leather and EVA foam meterial more guarantee. 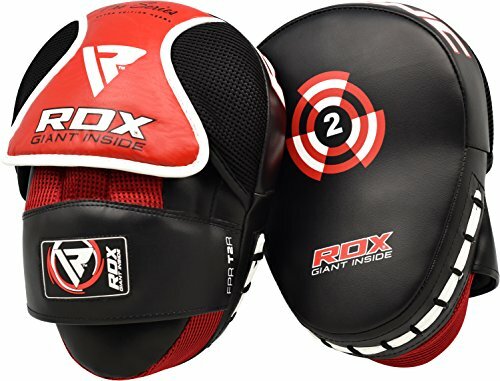 RDX pro series boxing curved hook and jab focus pads are built with highly resilient Maya Hide leather for a tough, durable pair of punch strike mitts. Can handle long-term punishment without showing any signs of wear and tear during even during conventional martial arts or MMA training. Supreme shock absorption comes from a triple whammy of EVA-LUTION FOAM, Shell-Shock gel and Tri-Slab padding. A no-slip grip with inner-finger compartment, incorporates RDX EZ-Grip Technology, keeping the pads securely in place. Mesh on palm side ventilates moisture while Supremo-Shock Foam cushions the wrists to provide comfort to the area, keeping trainer's hands away from damage or discomfort. PUREFI Sports warrants its products to be free from defects in materials and workmanship for a period of 180 days from date of purchase, provided they have not been subjected to obvious abuse, neglect or misuse. PUREFI Sports sole liability is limited to repairing or replacing products that are returned within this 180-day period, unless specific product literature specifiesEverlast's sole liability is limited to repairing or replacing products that are returned within this 120-day period, unless specific product literature specifies.and if you have any question about Products please contact us with no hesitate,we will reply email within 24 hrs. Upgraded Version --The focus mitts is Lightweight and Wear Resistant,and this boxing punch target has Strong Impact Resistance. Use in Martial arts,kickboxing,Taekwondo,Muay Thai,Fitness lover,Enhance physical fitness and Slimming body shaping. Padding with EPE cotton and with high quality leather coated, easy to clean and maintain. Good stitching makes it solid and durable for use. 4 straps are strong and durable with strong metal rings for bolting. Thick enough which provides adequate cushion when hit, and can be punched safely. 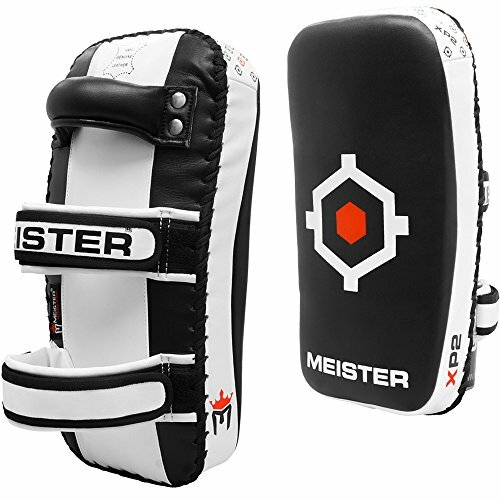 Can be used for free combat or boxing training, a good tool for punching practice. 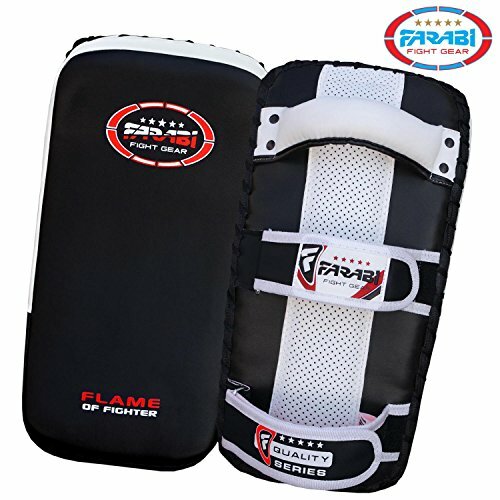 Farabi Fierce Curved Strike Training Pad is the pro addition to the Boxing and MMA gear range. Made form high quality durable XT-Synthetic leather that is meant to withstand the heaviest blows. Equipped with a dual KXR-Handle Gripping System safeguarded with the machine inserted GGX-core steel rivets that allows more control and stability. Ergonomically designed superior Aero build curved shape augments the training capacity. The external classic hand stitched VB-tech covering provide additional durability and sturdiness. Powered by a multilayered FGR-Compressive EU-Padding offers enhanced protection and has the ability to resist the strongest blows. The strike pad has unique extended strike depth which is ensured throughout the pad to maintain the symmetry. The strike pad incorporates the EC-Gel C-Shock technology that disseminate the impact of force equally throughout the pad and resist its transformation to the connecting surface which reduces the risk of injury to the minimum. The PX-Fiber composition make this pad extremely lightweight and easy to carry which ensures a perfect training technique and is highly recommended by the professionals around the globe. Armed by easy-to-strap dual Swift-Z loop closure system for sturdiness and snugness. Farabi Fierce Curved Strike Training Pad is the pro addition to the Boxing and MMA gear range. Made form high quality durable XT-Synthetic leather that is meant to withstand the heaviest blows. Equipped with a dual KXR-Handle Gripping System safeguarded with the machine inserted GGX-core steel rivets that allows more control and stability. Ergonomically designed superior Aero build curved shape augments the training capacity. The external classic hand stitched VB-tech covering provide additional durability and sturdiness. Powered by a multilayered FGR-Compressive EU-Padding offers enhanced protection and has the ability to resist the strongest blows. The strike pad has unique extended strike depth which is ensured throughout the pad to maintain the symmetry. The strike pad incorporates the EC-Gel C-Shock technology that disseminate the impact of force equally throughout the pad and resist its transformation to the connecting surface which reduces the risk of injury to the minimum. The PX-Fiber composition make this pad extremely lightweight and easy to carry which ensures a perfect training technique and is highly recommended by the professionals around the globe. Armed by easy-to-strap dual Swift-Z loop closure system for sturdiness and snugness. Works well for home gym, and great for stress relief after work or in the morning. Do not punch full strength if your walls are thin. 4 straps are strong and durable for securely fastening, with strong metal ring holes for bolting. Thick enough padding provides superior shock absorbency when hitting, safe to punch. Leather coating makes it easy to clean and maintain. Solid stitching makes it durable for use. Can be used for free combat, karate and boxing training, punching practice. Thickened foam with good rebound provides superior shock absorbency while reducing fatigue and preventing injury. Solid stitching makes it durable for use. Works well for home gym, and great for stress relief after work or in the morning. EPE cotton padding with high quality leather coating, makes it easy to clean and maintain. 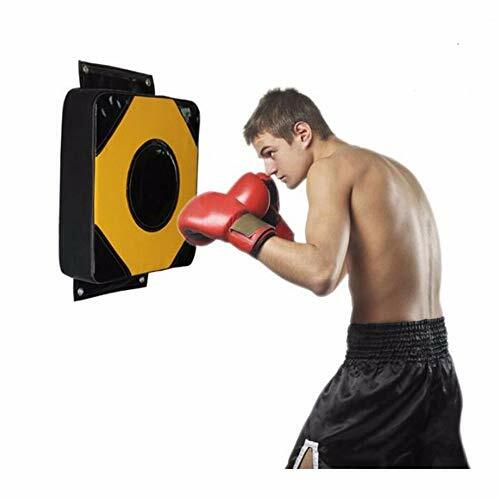 Wall mount boxing target with 4 metal ring holes for bolting, 4 straps are strong enough for securely fastening and not shift in any direction. Nails and screw not included. Mounted over a stud, attached to the basement wall or mook jong, etc. Can be used for free combat, karate and boxing training, punching practice. 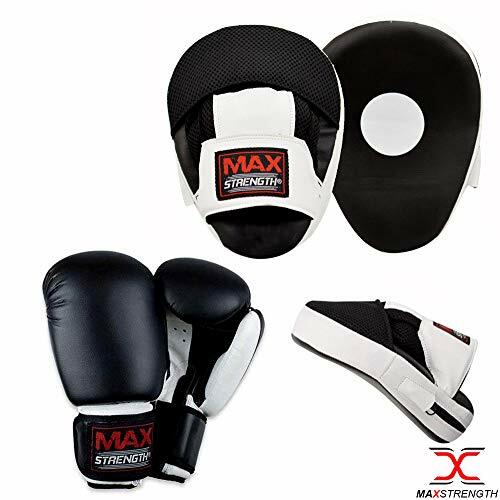 The Max Strength Synthetic Leather Curved Focus Pads are made with a strong attention to details.These Focus Pads are a great training partner for Sparring and Martial Arts Training. Our Focus Pads are designed to improve accuracy and Hand to Eye coordination. They are designed to be stable and resilient. Our exclusive Focus Pad deals have earned popularity between our customers in the UK, USA & Europe. That is why, in full confidence, we can assure you that we will not be beaten on Quality and Price. We offer "Full Money Back Guarantee" if you are not satisfied with the product. 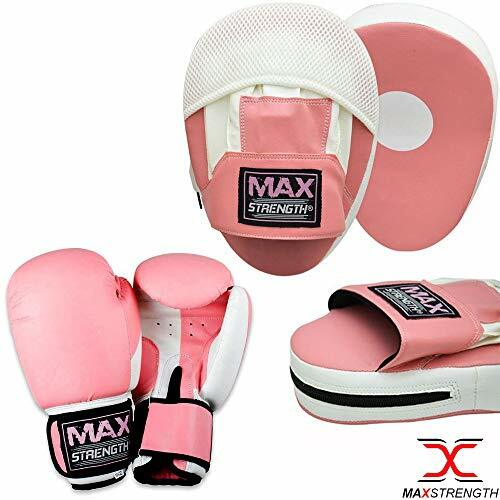 Max Strength offers Atomic Synthetic Leather Boxing Gloves with confidence that they would be a great addition to your Boxing equipment. As compare to our REAL Leather Cowhide Boxing Gloves they are lower cost, you will still get a great handmade glove straight from our Factory which is constructed of synthetic leather and has a wraparound Velcro closure system and triple layer poly-max contoured padding. Specially designed Air Vents on Palm to keep inside palm cool and fresh at all times and even when used in longer periods. Made of High Quality Synthetic Leather. V-Shape Hook and Jab Sparring Pads Pair. Comfortable Wrist Grip. White target printed for accurate aim. Target feature helps your aim and focus to enhance hand eye co-ordination. High density foam layering for maximum shock absorption. Air vent on palm to reduce sweat. Great for boxing training or sparring purposes. Longer wrist strap to provide better wrist protection. Extra padding on wrist to reduce chances of Hand Injury. Comes as Pair. Available in 8, 10, 12, 14 & 16oz Sizes with Black/White color combination. Outdoor sports accessories include: Bike Lights , Bicycle Repair Tools, Bicycle Parts, Mount Holder , Cycling Electronics , Bicycle Accessories , Fishing Net , Fishing Line, Fishing Hooks, Fishing Reels, Fishing Tools, Swimming & Diving, Sports Bags, Sports Glasses , Outdoor Bags, Outdoor Stove & Accessories, Camping & Hiking. Please note that the products are only offered by Green-Valley113 brand. Other sales people is not reliable. The Max Strength World-Class Synthetic Leather Curved Focus Pads are made with a strong attention to details.These Focus Pads are a great training partner for Sparring and Martial Arts Training. Our Focus Pads are designed to improve accuracy and Hand to Eye coordination. They are designed to be stable and resilient. Our exclusive Focus Pad deals have earned popularity between our customers in the UK, USA & Europe. That is why, in full confidence, we can assure you that we will not be beaten on Quality and Price. We offer "Full Money Back Guarantee" if you are not satisfied with the product. 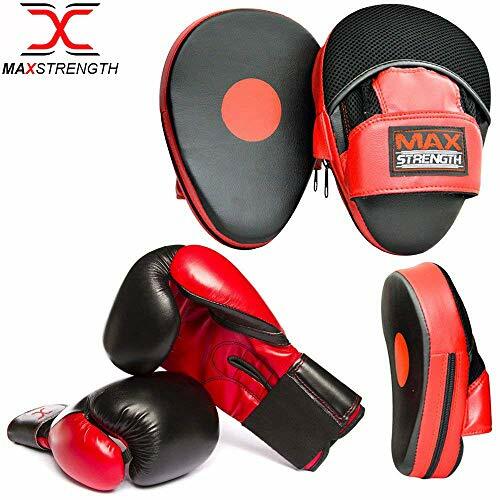 Max Strength Boxing Gloves are handmade with a strong attention to detail, just the same as our other Rex-Leather Striking and Grappling Combat Sports products such as Kickboxing, Muay Thai, Muay lao, Full Contact Karate, Taekwondo, MMA, Judo, Wrestling and Jiu-Jitsu. 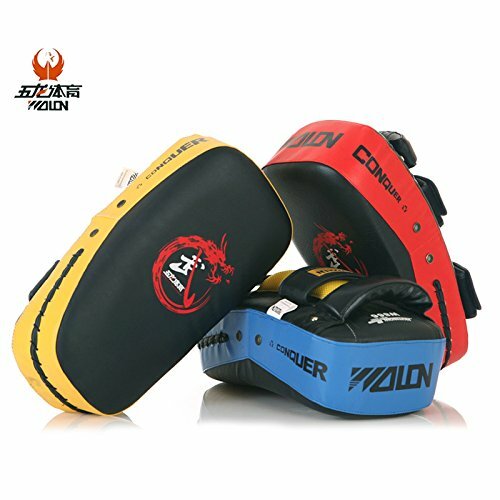 The gloves are suitable to be used for any combat sports. They are designed with multi layers of high-density foam and integration of gel padding in machine mold for maximum shock absorption. Specially designed air vents on the palm keeps the inside of the palm cool and fresh at all times and even when used for longer periods. Contrast Heavy and secure double stitching for durability and long lasting. Extended Padding on the Wrist provides all round wrist protection and reduces the risk of injury to the wrist. All-purpose fitness gloves are perfect for light to moderate bag and pad work. Comes with Boxing gloves in different sizes (choose from above menu), Ideal for Junior and Senior Fitness, Great Hook and Jab Experience. Comes as Pair. Available in 6, 8, 10, 12, 14 & 16oz Sizes with Pink/White color combination.